A callous thug who killed his drug dealer in a brutal knife attack “over a tenner” has been jailed for 12 and a half years. William Paterson (46) repeatedly stabbed James Beveridge (41) on the head, neck and body during a vicious attack in Kirkcaldy on October 15 last year. The fatal blow to Mr Beveridge’s neck cut through the main vein and artery. Today at the High Court in Glasgow judge Lord Armstrong told Paterson: “You have shown remorse and accepted responsibility for your actions. “Mr Beveridge himself was far from blameless and you were being attacked when you stabbed him. Lord Armstrong told Paterson that, but for his guilty plea he would have jailed him for 14 years. The court heard Paterson had fallen out with Mr Beveridge because he refused to sell him drugs on credit. Police also suspected that Paterson wanted a refund for “dud” Valium tablets which he had bought from Mr Beveridge. The two men met up after exchanging text messages. 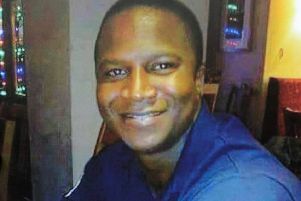 Paterson, from Kirkcaldy, was originally charged with murder, but his plea of guilty to a reduced charge of culpable homicide was accepted by the Crown. Ms Edwards said: “Mr Beveridge was a known supplier of Valium tablets, albeit at a relatively low level. “It would seem likely from the tone and content of these text messages between the two that the accused was seeking to purchase drugs, probably Valium tablets, on tick. Seconds before the confrontation Mr Beveridge was handed a knuckleduster by a friend. Paterson and Mr Beveridge exchanged words, then Mr Beveridge struck the accused on the head repeatedly with the knuckleduster. Paterson then pulled out a knife which he had concealed in his sleeve and stabbed Mr Beveridge, who died in hospital the next day from his injuries. When Paterson was arrested he told police the attack was “over a tenner”. Solicitor advocate Ian Paterson, defending, said: “This is obviously a tragic case for the family of the deceased. Paterson showed no emotion as he was led away to begin his sentence.